The Barfly nurtures and promotes new musical talent. Here you can catch the latest up-and-coming stars seven days a week. Do you work at Barfly Birmingham? 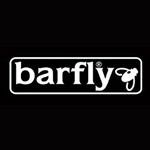 What did you think of Barfly Birmingham? great place to catch a live gig and a good bar for a pint too! A cheap, busy club tucked away from the busier parts of Birmingham city centre that fuses alternative music with electro and many other genres. Birmingham Barfly is situated on Digbeth High Street and isn’t far from the ugly National Express coach station. It’s certainly situated in a better position for an underground live music venue than if it was up on the mainstream stretch of Broad Street. Gigs at this place are intimate and crowded, and indeed, so are club nights. If it's empty it feels a bit cold but when it's busy there's so much heat in the venue it’s hard to cope. Don’t expect too much with the decor but this really doesn’t matter as all you'll be concentrating on is the music. Now this is what makes this place golden. For a gig, it’s hard to find a better venue in Birmingham and if you see a reasonably well known band that are doing a warm-up gig here, then it’s a must to get tickets. The crowd in this cosy club can get fever-pitch excited especially when bands like Feeder take to the stage. Fighting or other extreme behaviour doesn't happen but you do get a lot of excited people experiencing a brilliant time so if you don’t like moshing or the general atmosphere of live gigs stay away. It’s a popular student hangout and is usually filled with the cutting edge crew wearing the cutting edge fashions but this shouldn’t put anybody off. Major bands come to this venue but they're not the mainstay and most of the groups who take to the stage haven't made the big time, yet. The best night to go clubbing is Saturday. Music ranges from indie to electro and from the Libertines to Portishead to The Klaxons. The DJs are brilliant and unless R'n'B is more your thing, it’s hard to imagine that you'd be disappointed. As you can appreciate, this is a very discerning scene in terms of music so cheese is not usually on the menu. We Get kicks on Saturday or Frog on Friday are worth checking out. But if you fancy venturing to the clubs on Tuesday then Jump Around is good. It's aimed at students so the cheese factor does come into the equation and they play classic nineties tunes from Nirvana to Suede, even East 17 and Britney. NUS discount is available but entry isn’t usually much more than £4. Cheap. Very cheap. Great offers on lager and alcopops mean getting drunk is usually on the cards. Of course you don’t always need to get legless but hearing East 17 coming out the speakers would drive anyone to drink. The little negatives that come out of this venue are easily forgotten by the immense joy the music brings. It may get a little sweaty and overcrowded but it never stops you having a great time. It won’t be suited to people who like different genres of music but if you are open minded give it a try!